You may heard that the latest iPhones, the iPhone 7 and 7 Plus, don’t have headphone jacks any more. Instead, Apple hopes to push its users to wireless and Lightning-enabled headphones. But for those who still have wired headphones, the iPhone 7 is a compromise. Since there’s only one Lightning port on the phone, you can either listen to your wired headphones or charge your phone, but not both. However, accessory makers like Belkin are already cashing in on the iPhone 7 by releasing dongles like the Lightning Audio + Charge RockStar adapter. 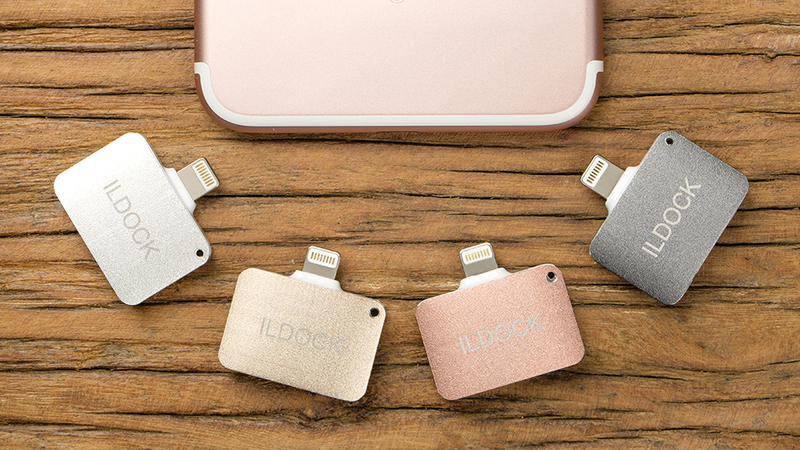 This $40 dongle turns the iPhone 7’s single Lightning port into two, so you can listen to music and charge your phone at the same time. The iPhone 7 also offers opportunity for crowdfunding companies. 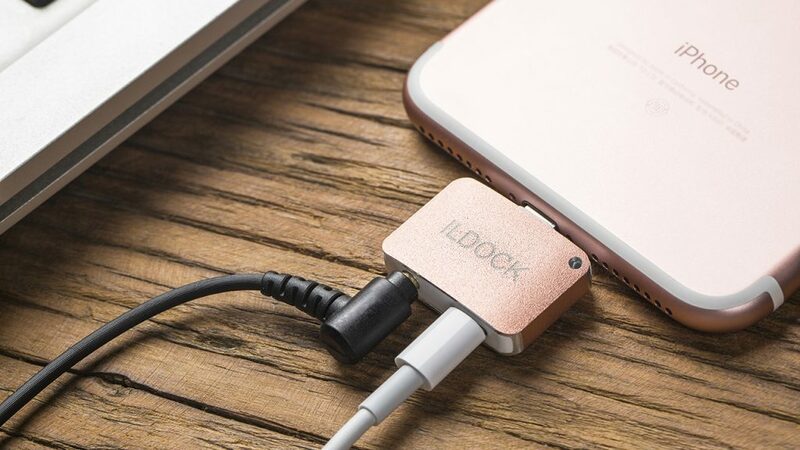 For example, this adapter from iLDOCK costs just $10 and does the same thing as Belkin’s. It also offers an aluminum build with colors to match your iPhone. The project is now on Kickstarter with $105,000 pledged at the time of this writing, smashing the company’s original $5,000 goal. The company is even offering alternative docks that include more ports for USB, microSD cards and full-sized SD cards. Then there’s the Smartkase for the iPhone 7, which packs in dual SIM slots, microSD support, and a 2,000 mAh battery pack. Unfortunately, the case only offers a single Lightning port so you’ll still need to buy an adapter if you need to use wired headphones and want to charge at the same time. Other crowdfunding companies are going all-in with wireless headphones, offering an alternative to Apple’s yet-to-be-released $160 wireless AirPods. While Apple takes its time releasing its own wireless headphones, crowdfunding companies have swooped in to take advantage by offering headphones with more features. For example, the Sports True Wireless Earbuds promise 8 hours of battery life, compared to Apple’s 5, though Apple’s earphones can get up to 24 hours if you keep them charged in the included battery case. 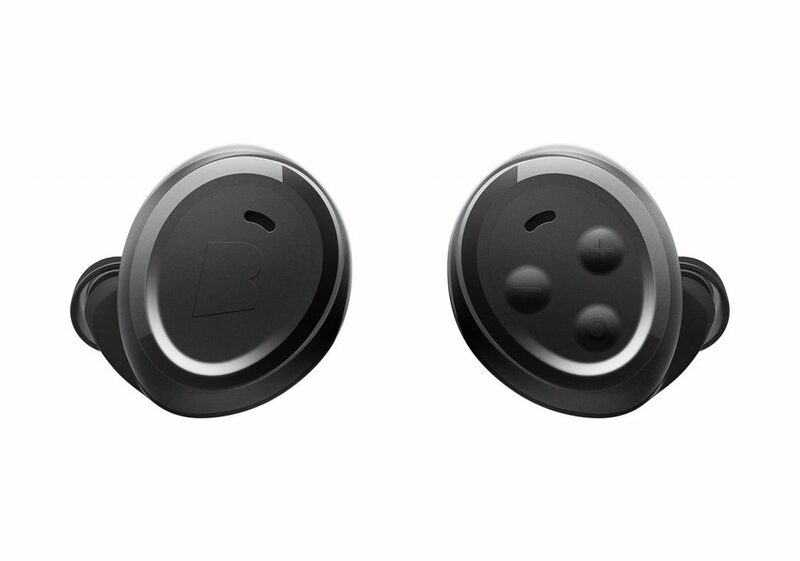 Bragi, an audio company that got started via crowdfunding on Kickstarter, just released its affordable $119 wireless earbuds. They’re called The Headphone, and they’ll let you listen to music for up to 6 hours on a single charge, and they have a mode that lets in ambient noise, which is useful for runners. What makes these crowdfunding projects successful is that they saw the iPhone 7’s limitations and immediately sought to fix them. By offering better value and more features that more established accessory makers, these campaigns have smashed their crowdfunding goals.